WISER for iOS 3.0, a universal app for Apple iOS devices, is now available. This new release adds native support for the iPad in addition to support for the iPhone and iPod touch. See below for a look at WISER as an app for the iPad. 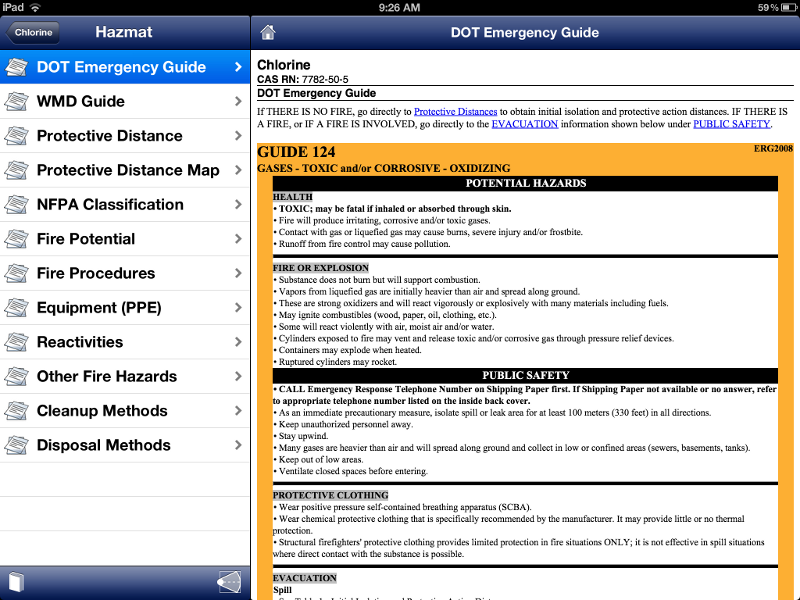 Search WISER's full set of known substances on the iPad. 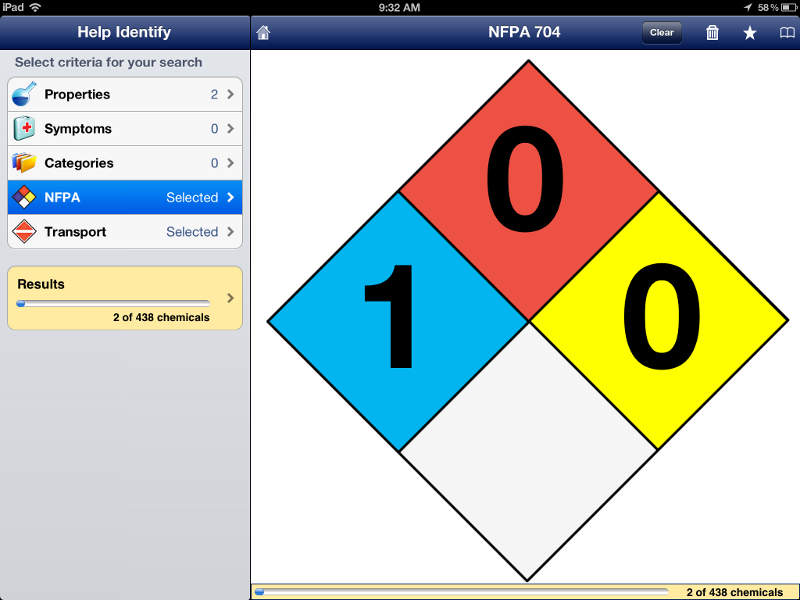 Employ WISER's popular Help Identify Chemical capability on the iPad. Use WISER's protective distance mapping feature on your iPad. Don't forget that all these features remain for iPhone and iPod touch. See the features for these devices introduced in our 1.0 and 2.0 releases. 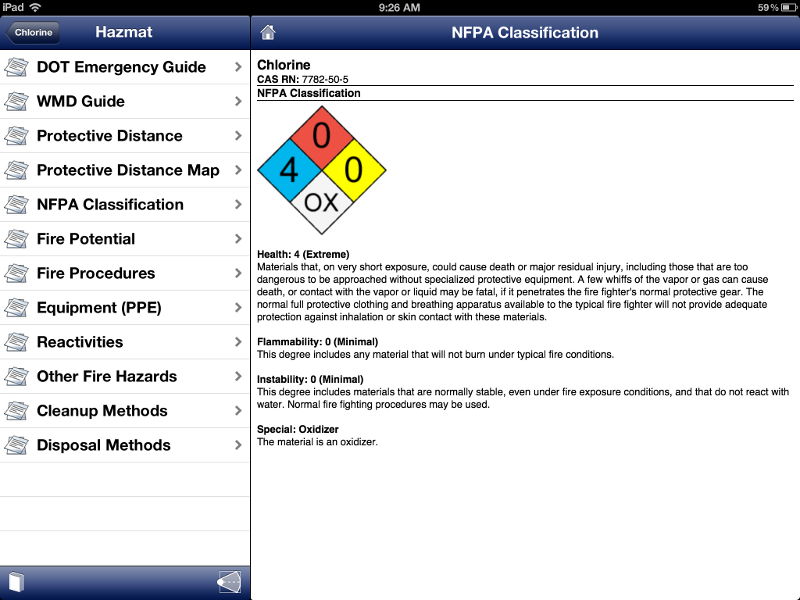 WISER's full database of chemical, biological, and radiological substances is now available on the iPad. This includes trusted information for over 440 substances from NLM's Hazardous Substances Data Bank (HSDB). 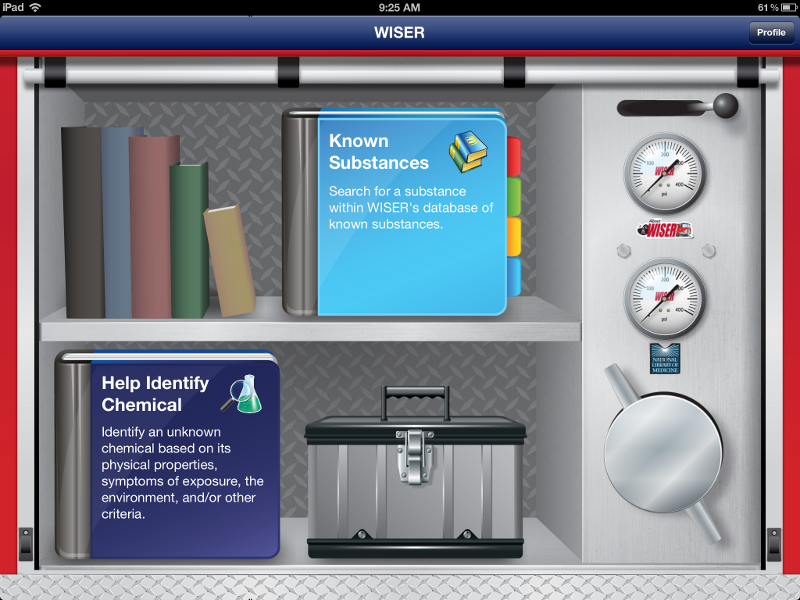 WISER for iOS touch includes a fully featured implementation of Help Identify Chemical, allowing a user to identify a chemical using physical properties, signs/symptoms, categorization, NFPA placards, and transportation containers. Users can save a help identify search for later recall and freely search the result list using any supported identifier. 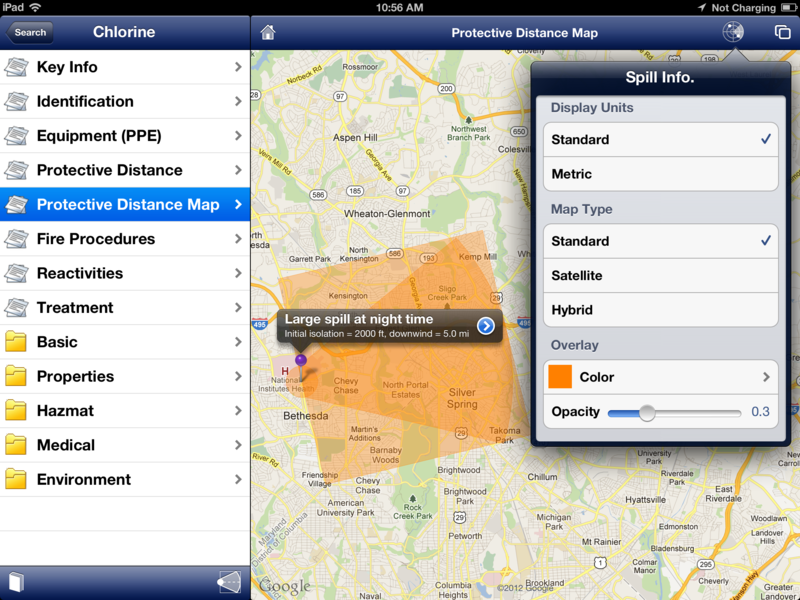 Using a live map, visualize protective distance data for a given substance directly on your iPad. Track both your current position and the location of a plotted protective distance area. 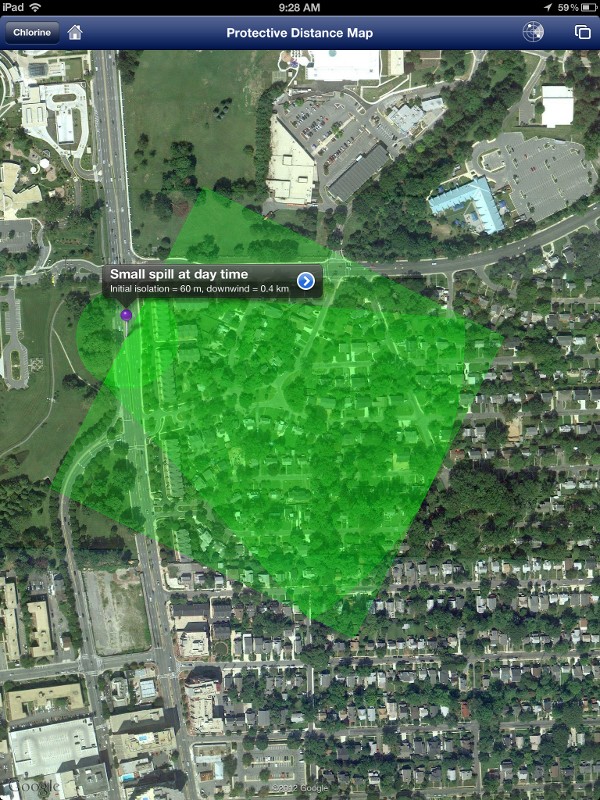 Note that WISER must have permission to use location services to track your current location. The accuracy of this capability is affected by the capabilities of your device (note that not all iOS devices include a GPS).